Dr. Budoff and Dr. Estes discuss what causes heart disease and how it can be affected by diet, health, drug use, and more. They also go deep into what you can do to decrease your chances of heart-related illness, including easy solutions available to us all. 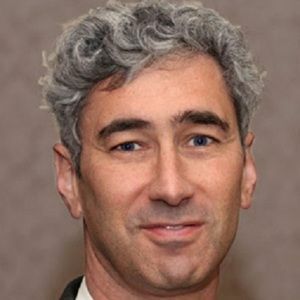 Matthew J. Budoff, M.D., FACC, is Professor of Medicine at the David Geffen School of Medicine and Director of Cardiac CT at the Division of Cardiology at the Harbor-UCLA Medical Center in Torrance, California. Dr. Budoff received his ... Más informaciones medical degree from the George Washington University School of Medicine in Washington, D.C. and completed an internship and residency in internal medicine, as well as a fellowship in cardiology at Harbor-UCLA Medical Center. Dr. Budoff is the chief investigator in several active medical research trials and is a frequent lecturer on topics of cardiology at symposia, congresses and annual conferences on nearly every continent. He has authored or co-authored over 500 research papers, six books, and 36 book chapters. Dr. Budoff received the Einstein Award for Scientific Achievement from the International Biographical Centre, Cambridge, UK, and was awarded the Top Oral Abstract at the American Heart Association’s 2009 meeting. Most recently, he was named to the U.S. News & World Report list of Top Doctors for 2011.